Today Sam & I had an outing to Camden Quilt Show - just the thing on a sunny yet cool winters day. In spite of a detour to avoid an accident, the Sat Nav deciding to send us in the opposite direction to where we were heading then asking us to turn right into a paddock before deciding it didn't want to communicate with us & our mental picture of where we were going not actually where we were heading, we made it! 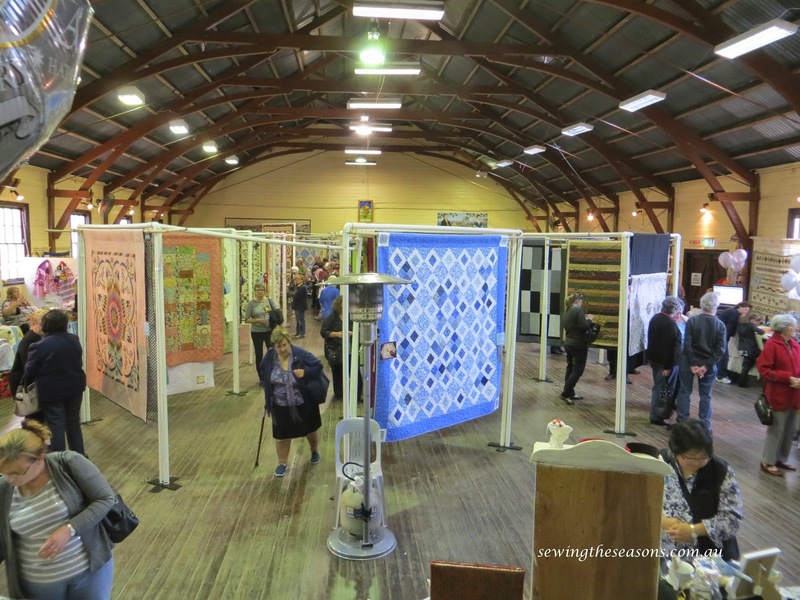 The show was in an old village hall, a wonderful setting for displaying all the quilts. 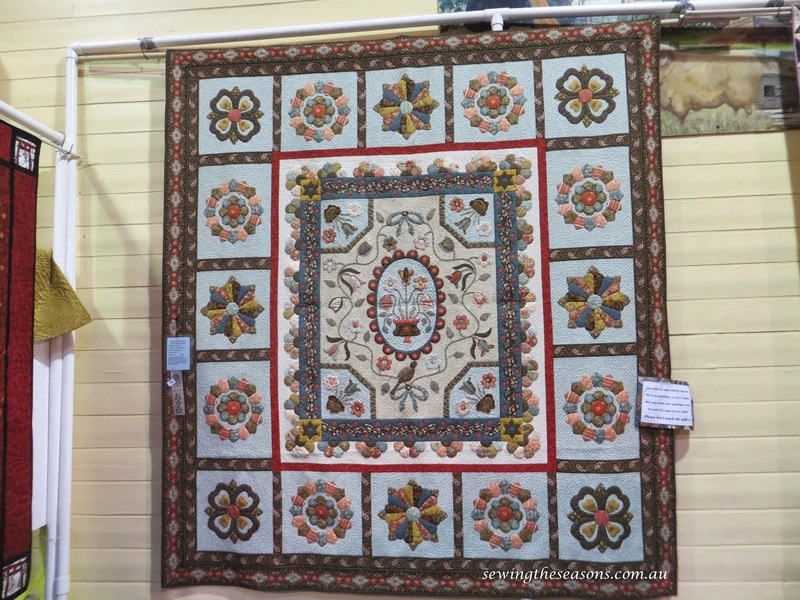 There were lots of wonderful quilts of a high standard, several stalls to stock up on supplies including our 2 favourites - Fabric Direct & Kim Bradley Creations. I also had some yummy homemade pumpkin soup followed by a scone for lunch. Here is just a few of the quilts we saw. We had a great time catching up with Eve and her mum Debbie, the fabulous duo from Fabric Direct. Don't you just love all the deliciousness on their stall, I love buying from their website. 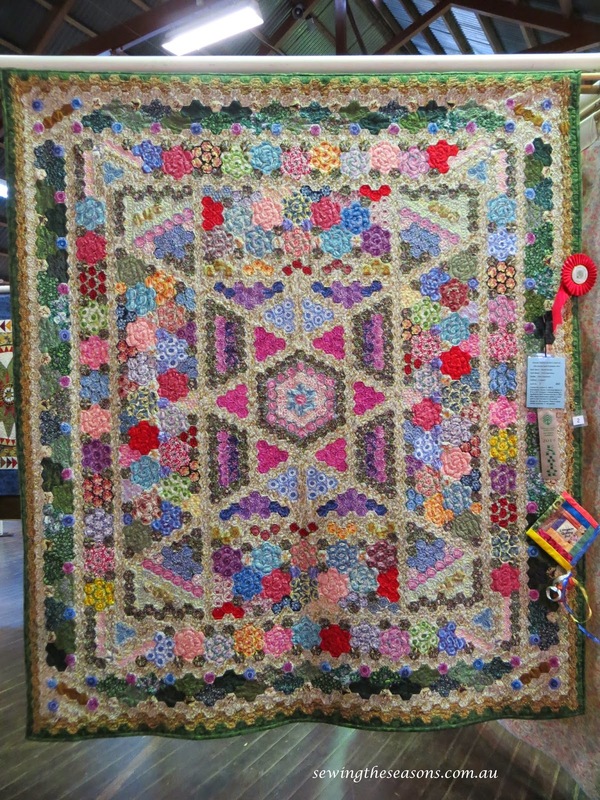 Here are the two quilts Debbie had made for her grand-daughters on display in the show. 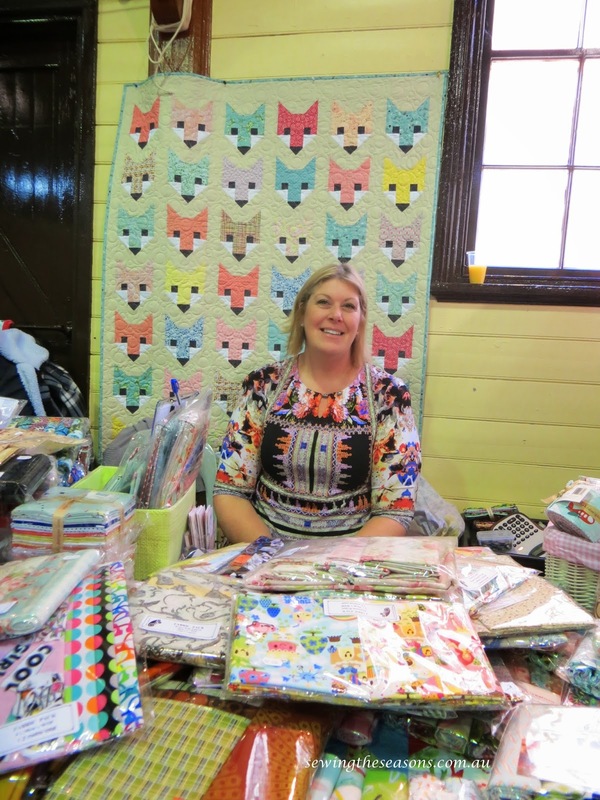 We also stopped by Kim Bradley's Creations (our very own local quilt shop with a stall at the show) to chat to Kim & Dave - I even managed to find some fabric on her stall I missed seeing in the shop when I was there last week. Back to sewing now - still some stitching to do ready for Dreamer's Markets next Saturday. If you're free pop on down to Parramatta Riverside Theatre to say hi. Ahhh....so that's who that stand was....Kim Bradley. We found it odd that not many of the stalls had their business names up. She had some lovely fabric and I did score some great patterns from there. Will let Kim know, good point as I didn't know names of other stalls. Yes, she has some wonderful fabrics......lucky to live close by.